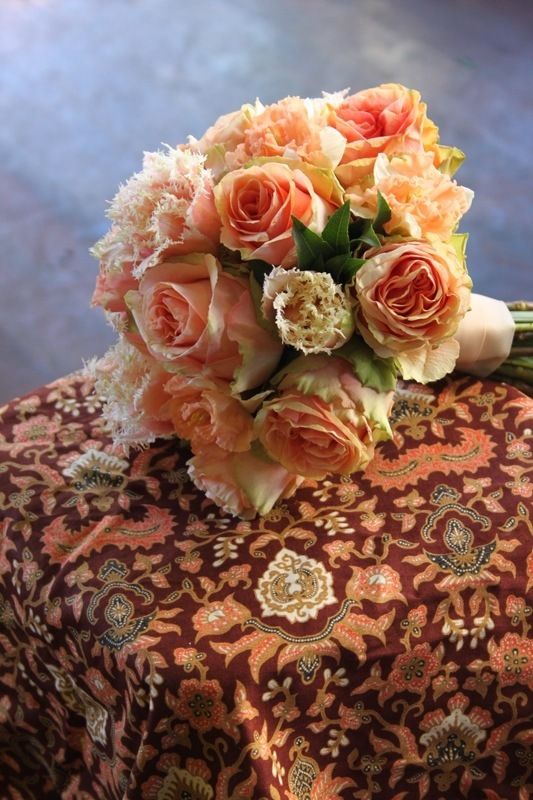 Another last minute wedding bouquet……… Some couples are very relaxed about the whole thing. 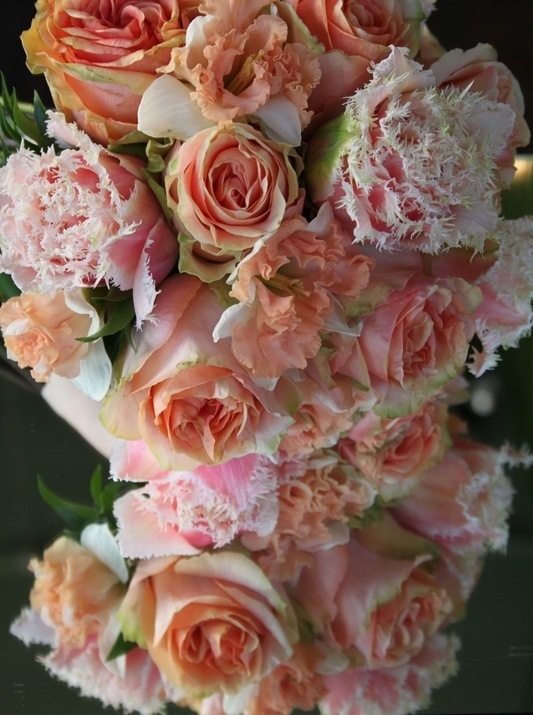 Luckily the day before wedding bouquet is fast becoming Sacha’s specialty! 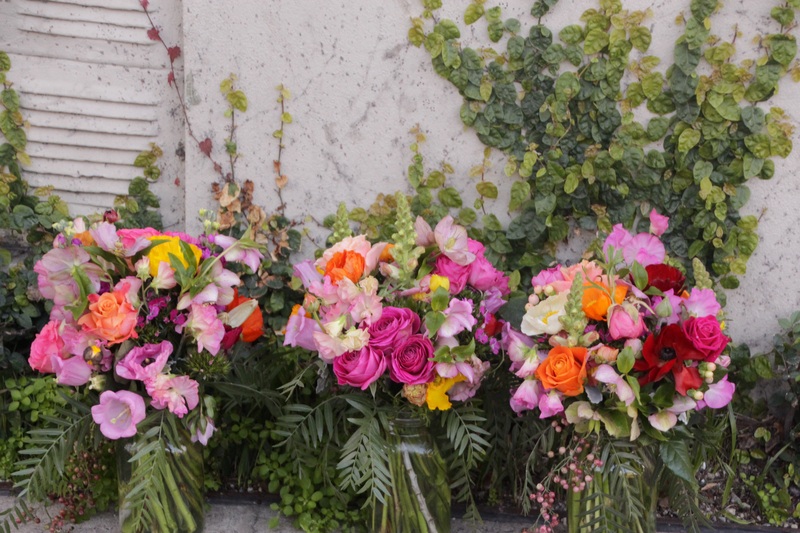 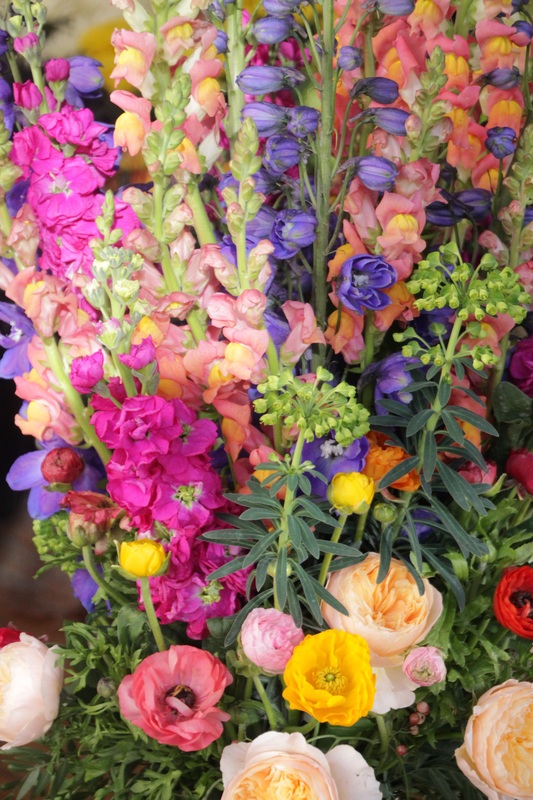 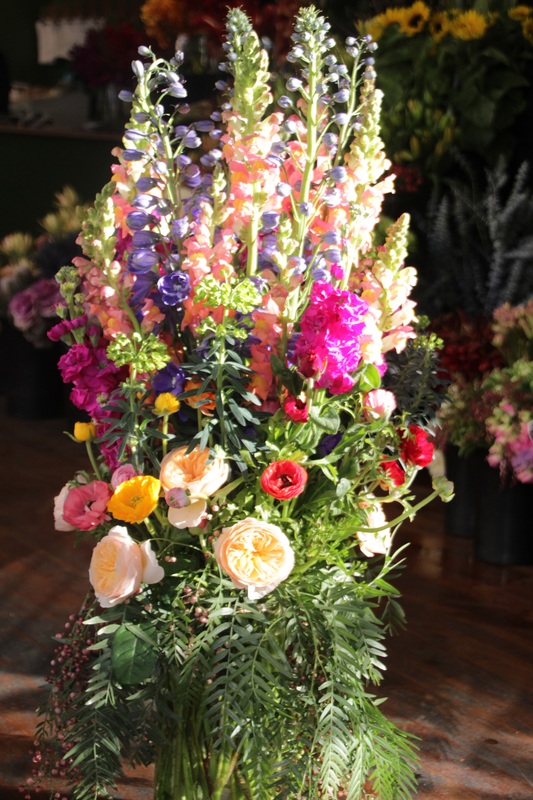 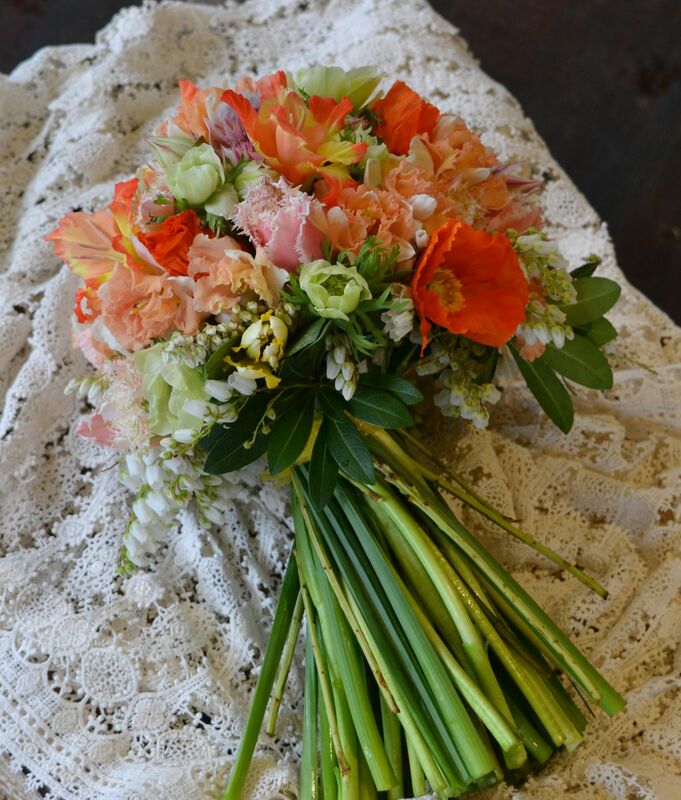 The request was for peachy colours and as luck would have it we had loads in stock including french tulips, poppies ,gladioli , and soft peach throated daffodils. 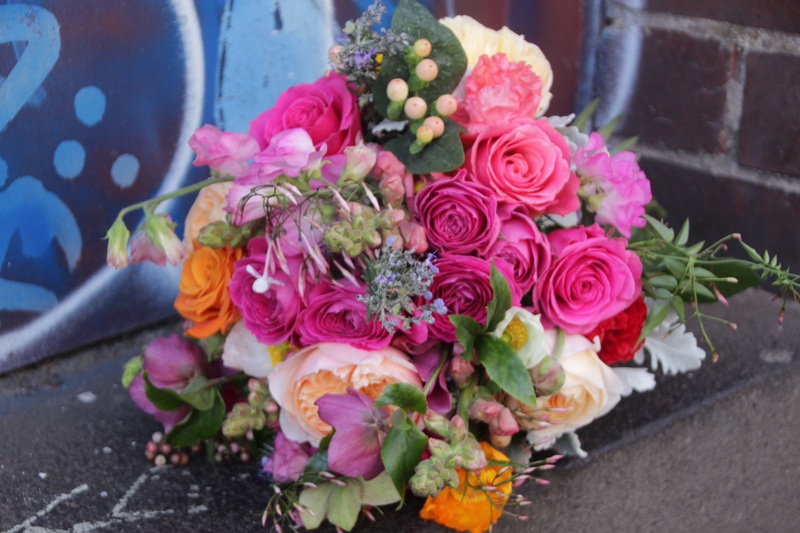 Although they held their wedding in a restaurant in Smith St Fitzroy , Victoria and Aaron opted for an informal country feel for the bouquet and buttonholes. 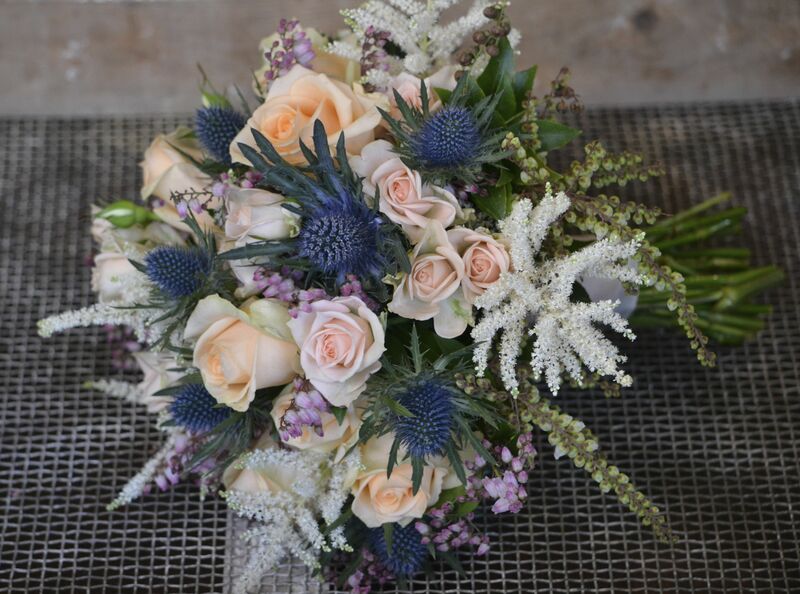 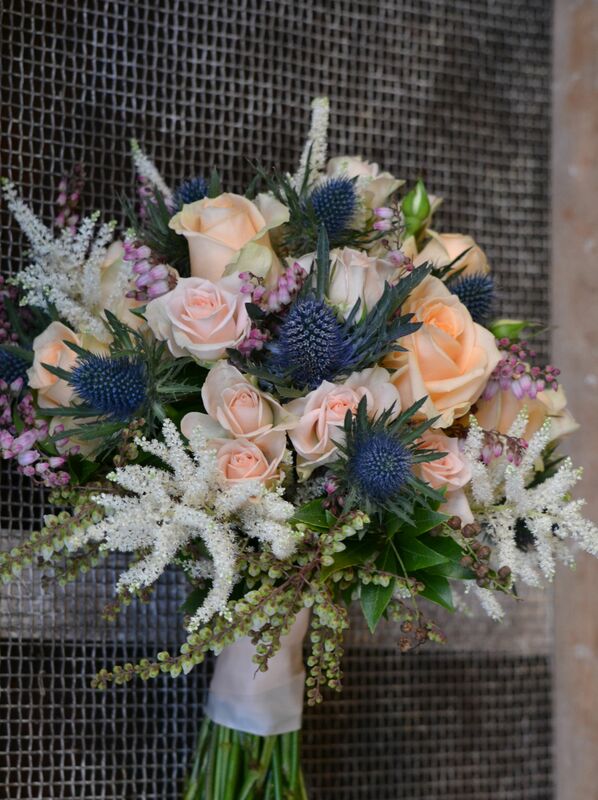 Astilbe, andromeda and seaholly lend the peachy roses an unstructured rusticity. 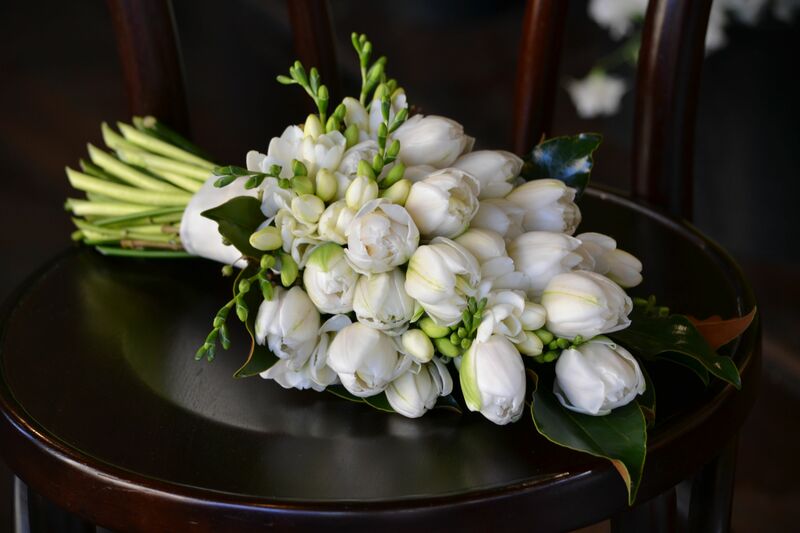 This winter bride chose double tulips, freesias and sweet peas in creamy, greeny whites for both herself and her matron -of- honour, so to create a difference between the two we made the Matron’s bouquet as an elegant arm sheaf. 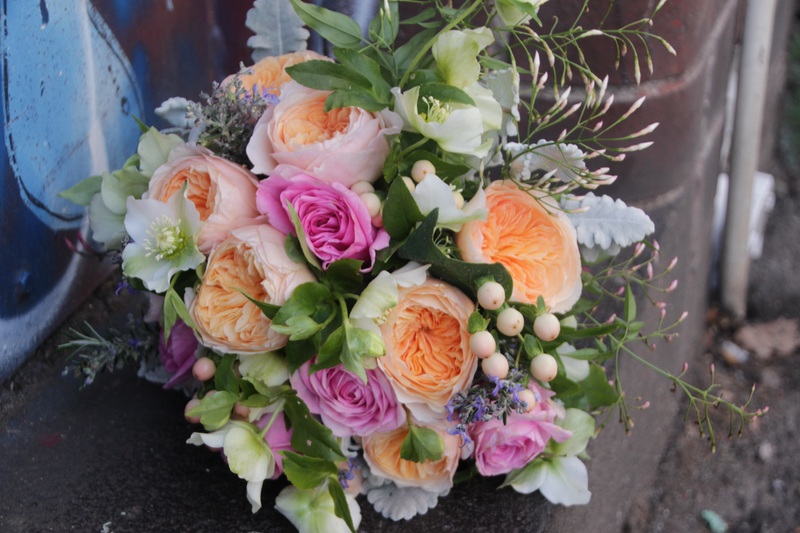 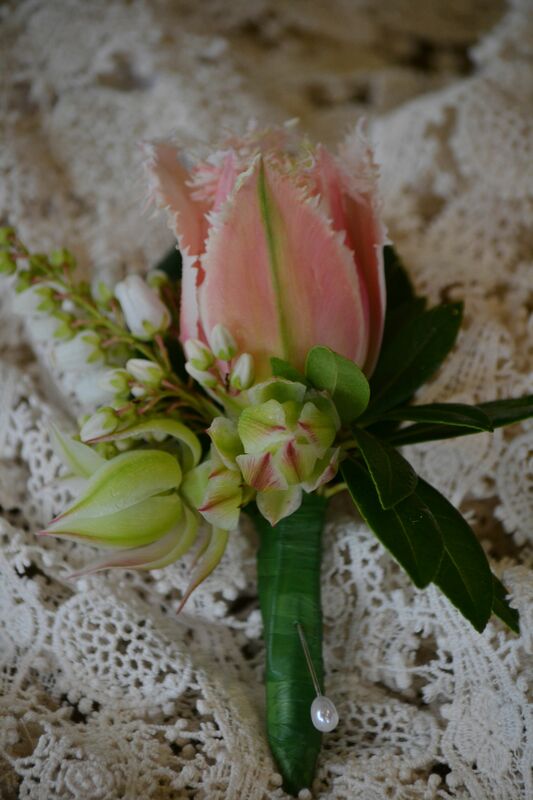 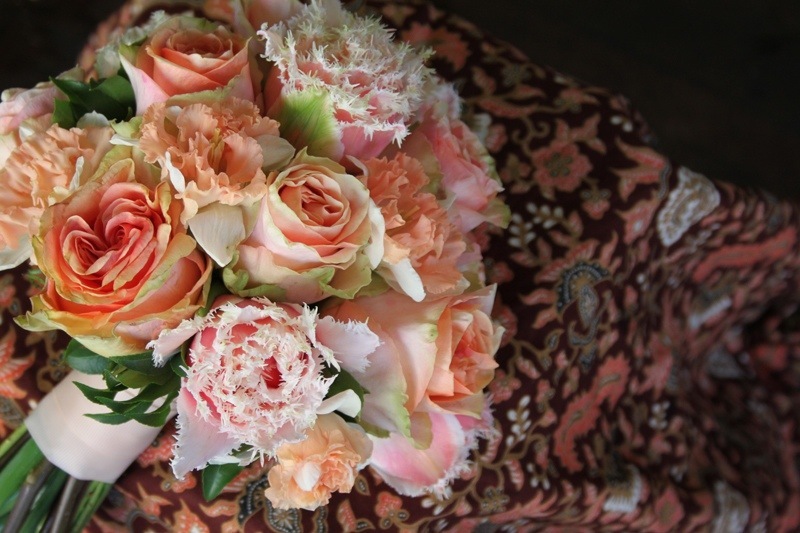 A lovely alternative to the usual ” smaller version” of the Bride’s bouquet. 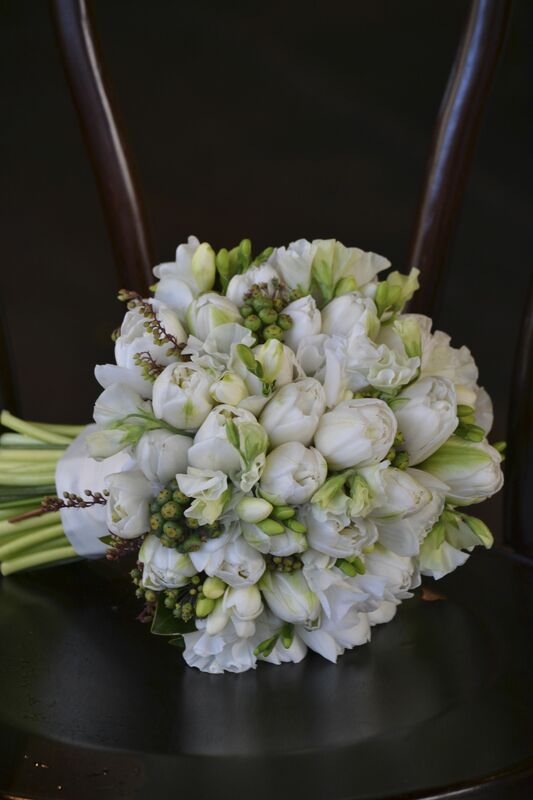 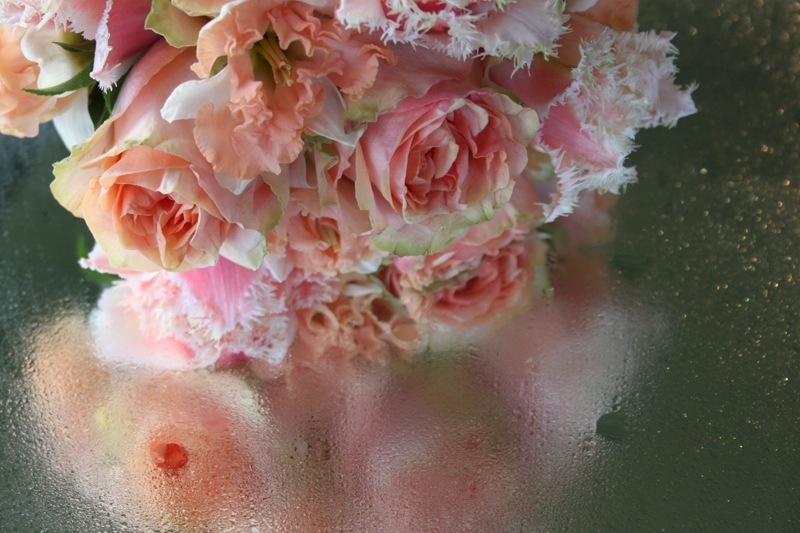 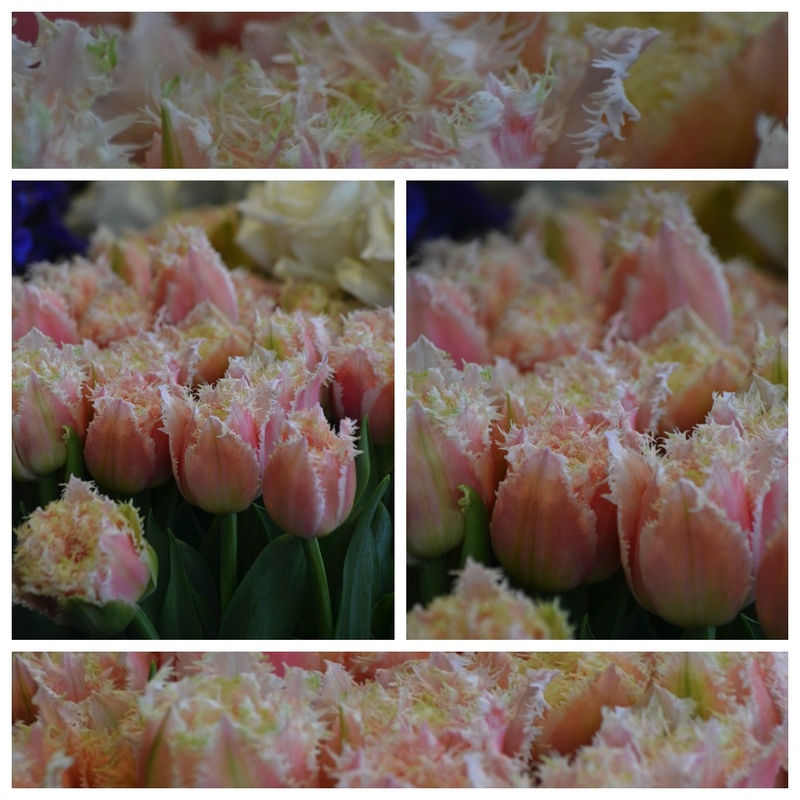 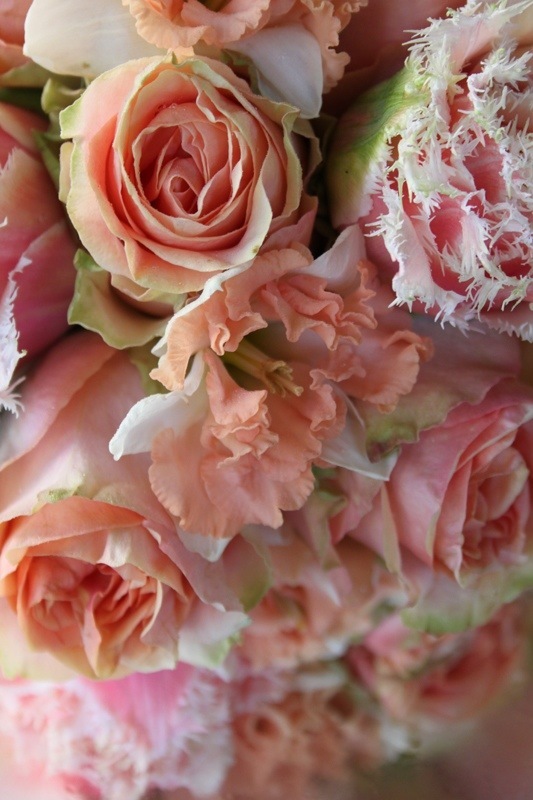 These frilly beauties are French tulips……..So chic! 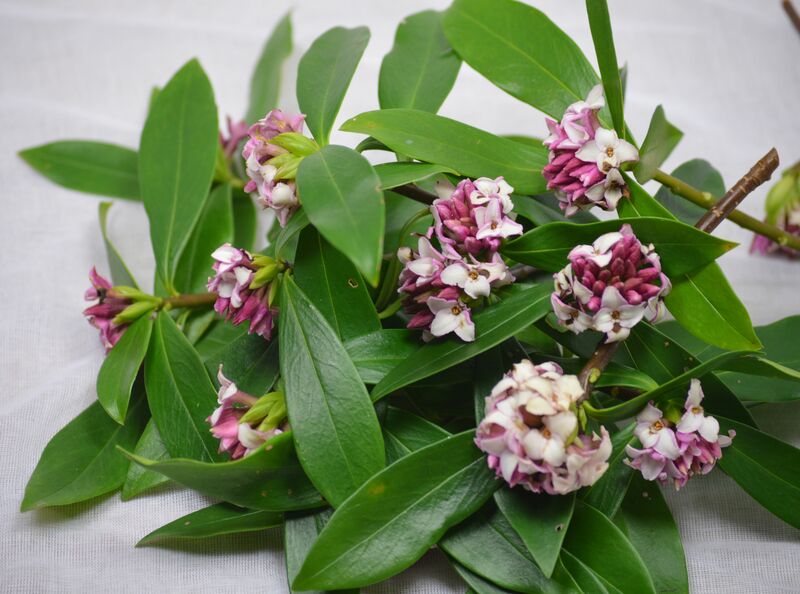 According to Greek mythology the beautiful river nymph Daphne, fleeing from the passionate pursuit of amorous Apollo, cried out to her mother Gaia for rescue and was swallowed up into the ground leaving only a small fragrant tree in her place. 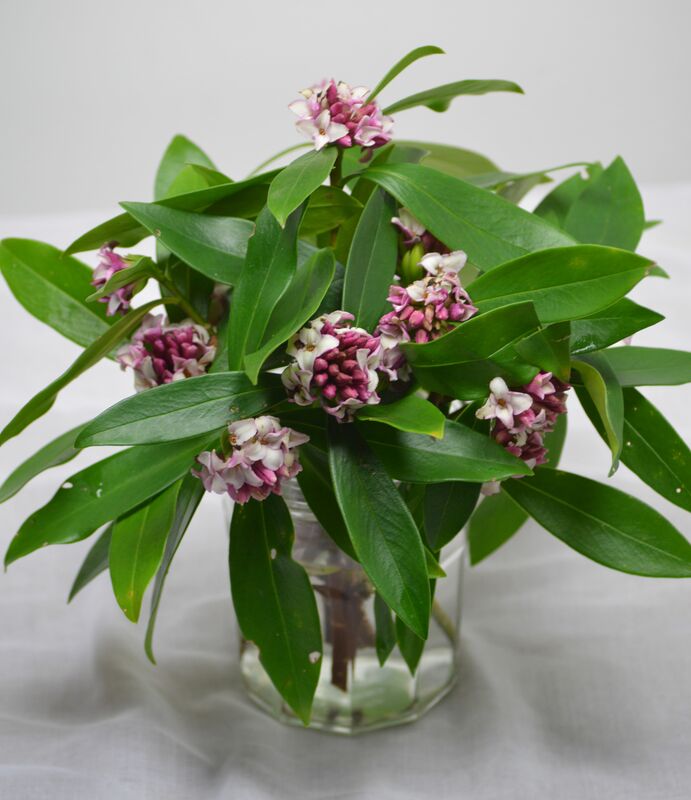 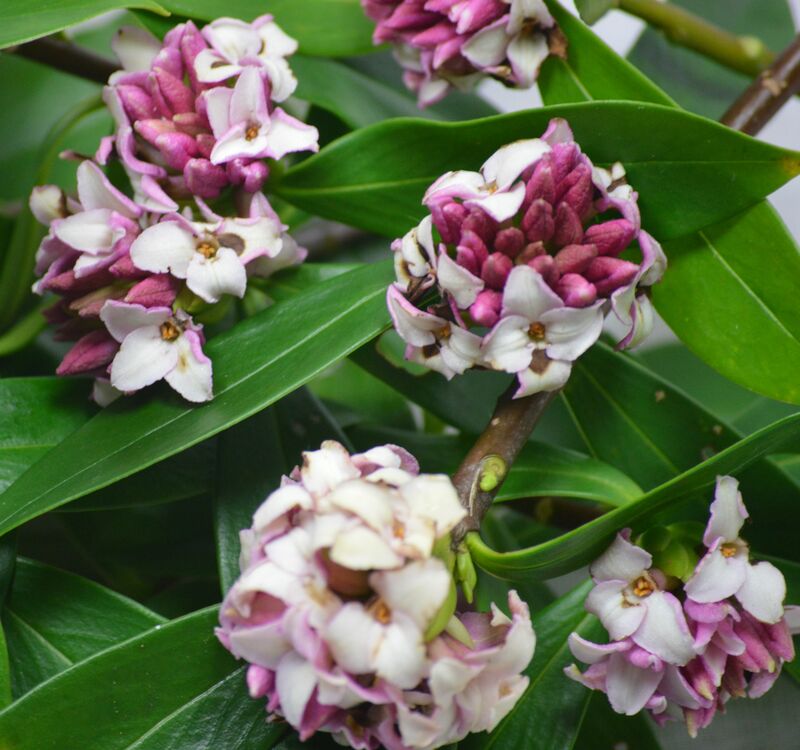 If you are not familiar with the gorgeous fragrance of daphne you must come to Tribal Rose in the next couple of weeks while it is in season and sniff it for yourself…. 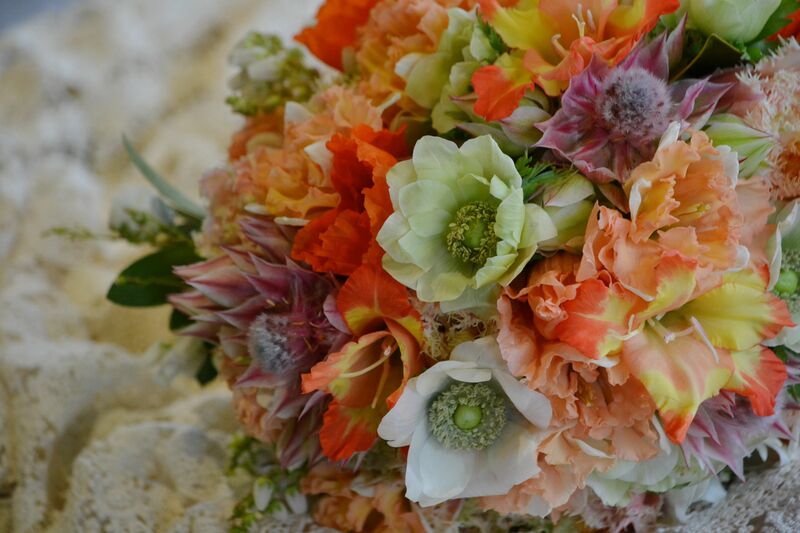 It’s heavenly!